On the 12th of April, 2010, following Sergije Krešić's dismissal, with the club languishing in 17th, Las Palmas turned to a former Las Palmas native to rescue them from relegation to the Segunda B. 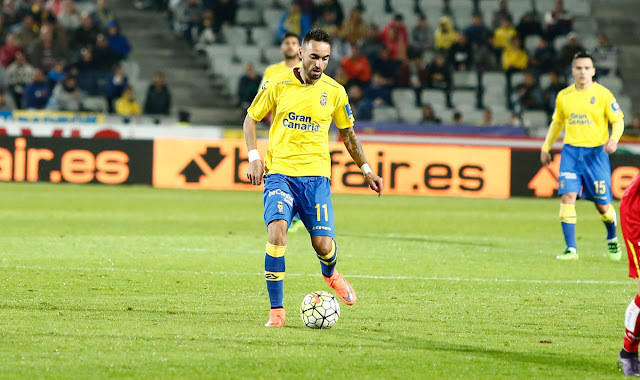 In the 32 games prior to Sergije being sacked, Las Palmas had won just eight times and picked up 37 points. Under Paco Jémez, in 10 games, they won four times, and picked up 14 points, to finish in 17th - narrowly outside the relegation zone. And while he was dismissed in February 2011, Las Palmas saw the need to sign the players that actually breathed the values of the club. And so they did. Jerónimo Figueroa, aka Momo, belonged to Las Palmas. He grew up at the club, and broke out during the 2003-04 season at the age of just 21. Despite Las Palmas' relegation, Momo desired to stay - but in 2004 Deportivo signed the player due to an existing agreement between both clubs to settle the debt of the 2000 signing of Argentine center-back Gabriel Schürrer. However, Momo rarely played for the Galicians. He was loaned out to fellow La Liga side Albacete for the season, which ended in relegation. During the 2005-06 campaign, he stayed in the ranks of Depor but clocked a measly 154 minutes of action. The following season, he looked for other opportunities, joining Racing Santander on loan but being unable to make a dent in the side. During the 2007-08 season, Momo dropped a division and signed for Xerez on loan. Finally, he got his break - Xerez barely survived but Momo finally locked down a starting berth and, more importantly, impressed coach Esteban Vigo who had arrived in the middle of the season. Which meant that Xerez bought the player outright, and Momo became the go-to winger on the left - both the technical dribbler and the creative midfielder coming to the fore. Under Esteban Vigo's leadership the following season, Xerez achieved the unthinkable - promotion for the first time in history. Momo's 17 goals, highest in the squad, propelled the team to unthinkable heights and himself back to La Liga. Not to mention that he was named as one of the three best attacking midfielders in the division, along with Tenerife's Alejandro Alfaro and Castellón's Manuel Arana. There was a story that came out during this time that summed up Momo for me. Dedication comes at a price, and Momo is willing to pay it. In May 2009, before a game against Eibar that could potentially decide promotion, Momo did not miss a single training session despite just becoming a father. His wife went to the hospital on a Monday, gave birth to their daughter Gisela on a Wednesday, and played Eibar on a Saturday. Nevetheless, Momo's form didn't replicate itself in Xerez's debut 2009-10 La Liga campaign, which was riddled with problems off-the-pitch, and after the Andalusians were relegated he signed for Real Betis in the Segunda. He appeared in 18 games during the season - 13 starts, 980 minutes of action - as they returned to the top flight as champions under Pepe Mel. He was rarely used during Betis' top-flight season, and in January 2012 signed for the one club recruiting its former recruits. He remains at the club to this day. And his seven goals, contributing to Las Palmas' 2014-15 promotion to the top flight, means the 35-year-old remains a club favorite.